Nigerian-British Chamber of Commerce Advocacy Roundtable | TMC | Toki Mabogunje & Co.
On May 02, 2017 at 11:00AM, the Nigerian-British Chamber of Commerce Advocacy Roundtable will take place. 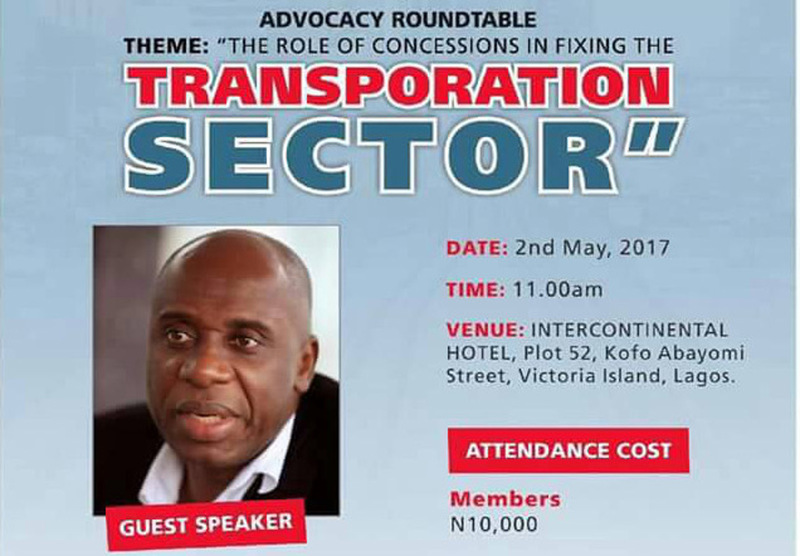 The Role of Concessions in Fixing the Transportation Sector. It will be happening at Intercontinental Hotel, Plot 52, Kofo Abayomi Street, Victoria Island, Lagos. Guest Speaker: Hon. Chibuike Rotimi Amaechi, Honourable Minister of Transportation.